Valentine’s decor is not typically something I buy or have a lot of on hand. 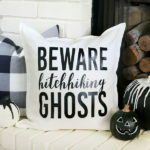 I like to think outside the box when it comes to decorating for the holiday, non-traditional colors and decor that flows well with my existing home decor is a must! 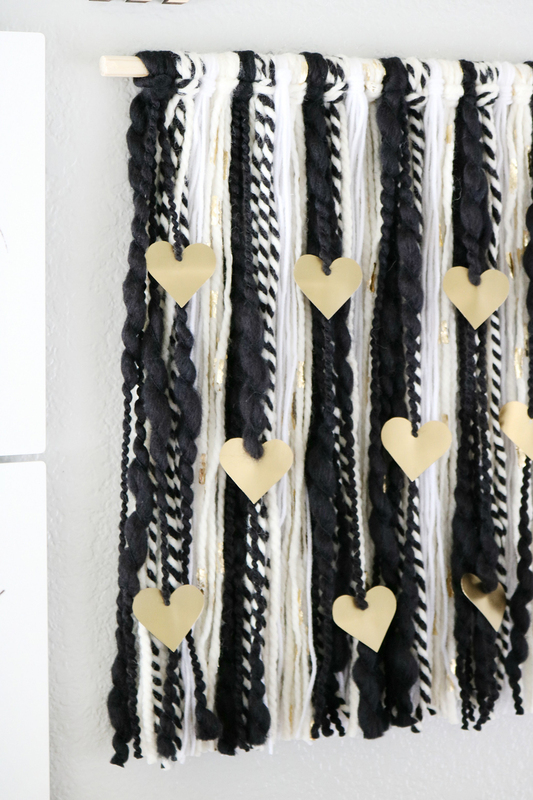 Today I’m showing you how to upcycle Yoplait Light yogurt containers into a super cute Valentine’s Wall Hanging. 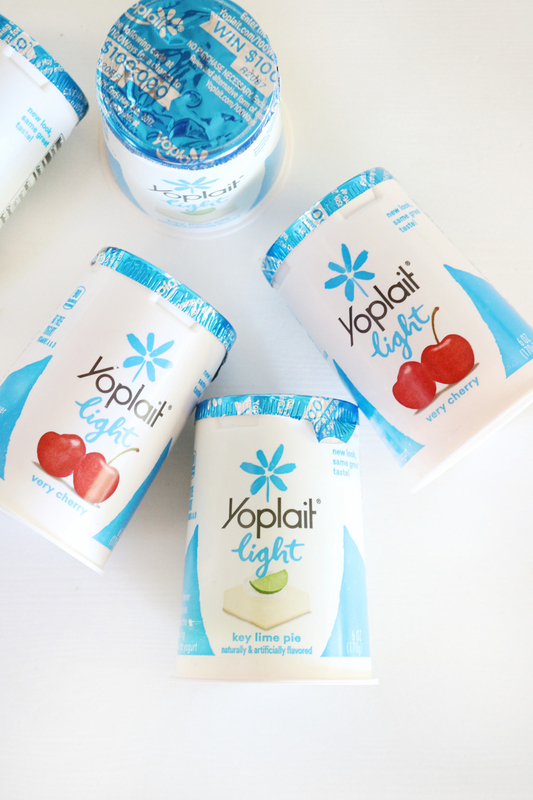 As much as I love all the different yogurt options out there, Yoplait Light is one of my favorites. 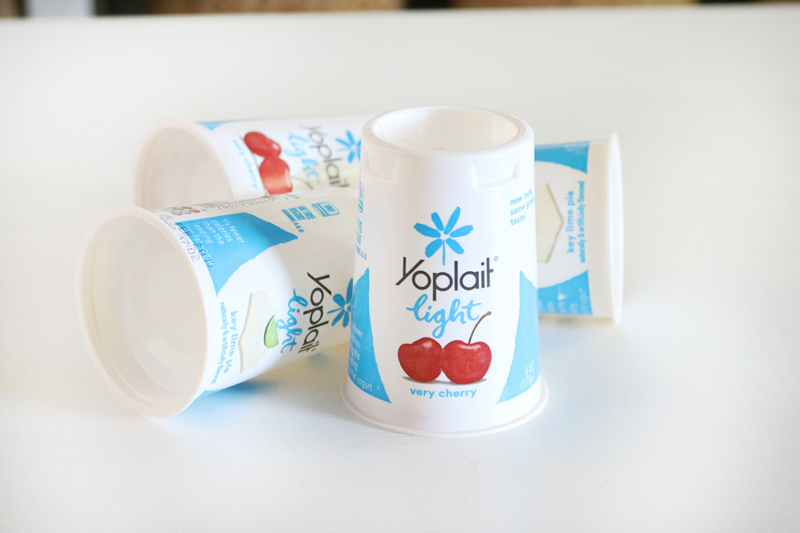 We have an endless supply of Yoplait Light in our fridge at all times. It’s a quick and easy to grab snack that’s low calorie and guilt free! 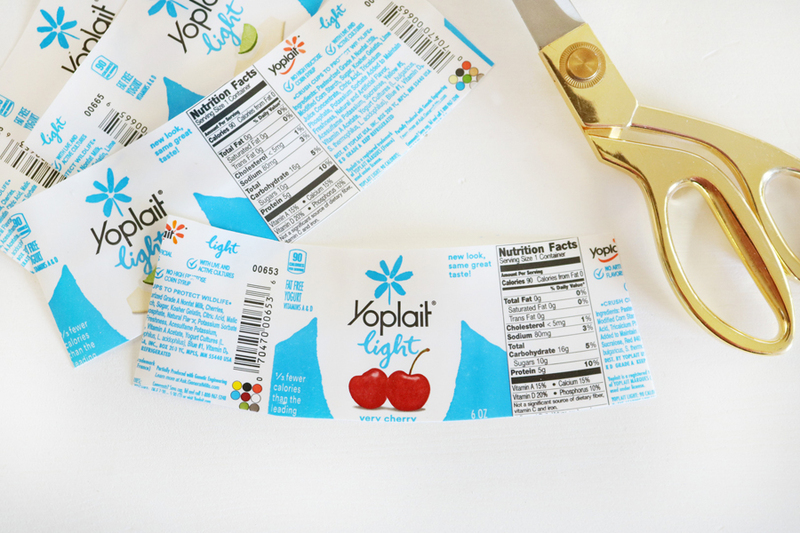 I typically eat yogurt for breakfast a few times a week, and sometimes in the afternoon when I’m snacking with my boys after school. . With more than 100 flavors of Yoplait to choose from, they always try something different. This means we have plenty of empty containers on hand. 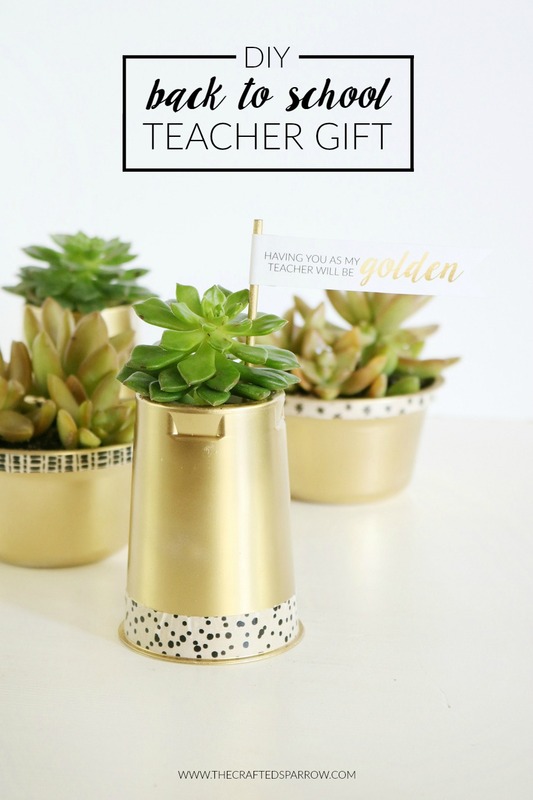 Instead of tossing them I loved the idea of creating something unexpected from them. Before beginning be sure that all your yogurt containers are washed and dry. Then using scissors cut the top lip and bottom off the containers. To get your plastic yogurt containers to lay flat you’re going to need to iron them. Yep, I said iron them. Place the plastic on a towel or ironing mat, then place a thin towel over top to protect the iron and the plastic. Using your iron on a medium to medium-high heat setting iron over the plastic for about a minute. Then remove carefully, (it will be hot), and place it under something firm and a little heavy for a couple minutes. A book will be fine or a flat plate. After a couple minutes, you are ready to start cutting shapes. To create a heart template for this project I just cut a small 1.5″ heart shape onto some cardstock. 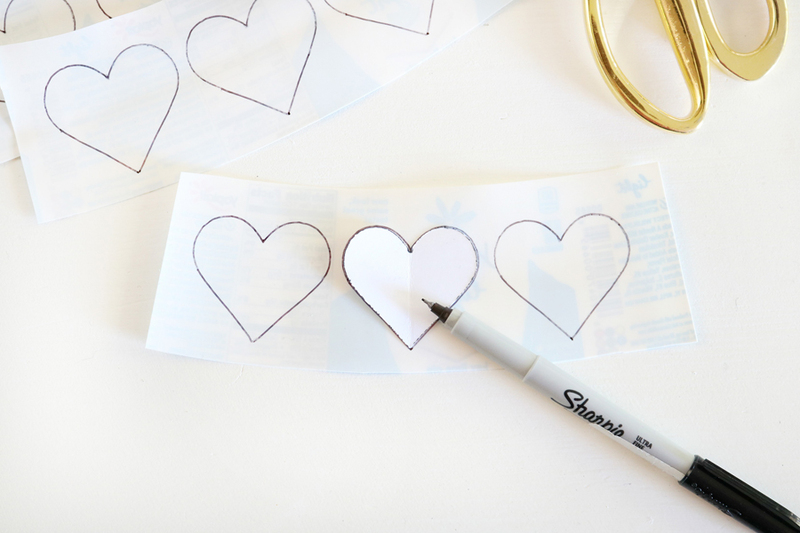 Using a thin sharpie marker or pen just trace your heart template onto the Yoplait yogurt containers. Then using scissors cut out each heart. 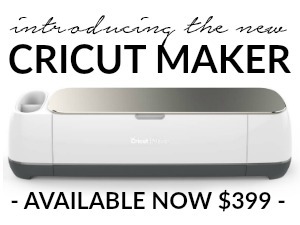 How many hearts you want to cut out is completely up to you! 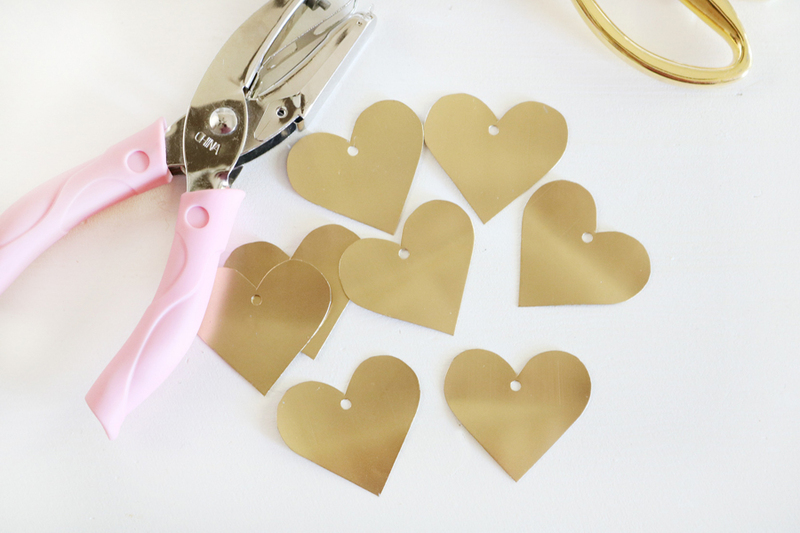 Before you spray paint your hearts use a small hole punch to punch a hole in the top of each heart so you can string them on your wall hanging. 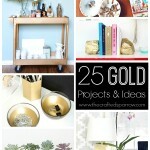 I used gold spray paint for this project. I gave each heart two quick coats of paint and let them dry. 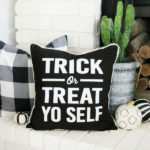 Now for the wall hanging! 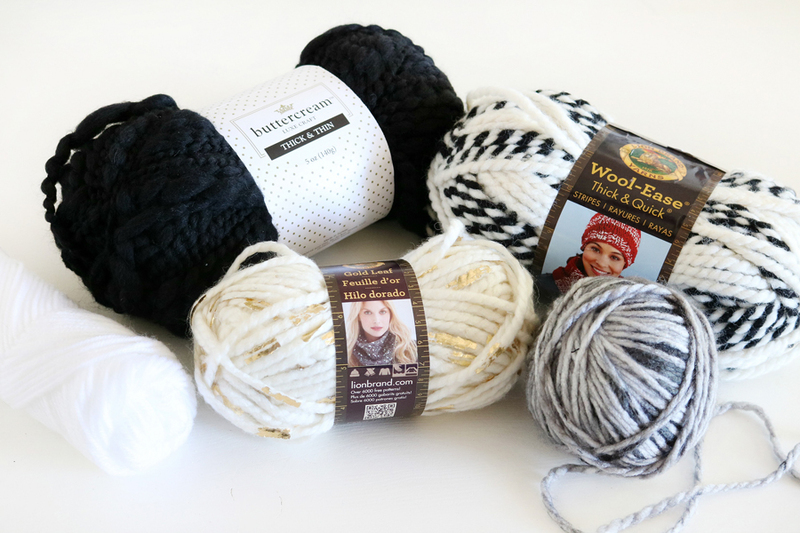 I chose some fun yarn in various textures and thicknesses in my favorite black and white color palette. You can find your favorite yarn at local craft stores. 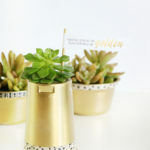 How pretty is that gold foiled one?! 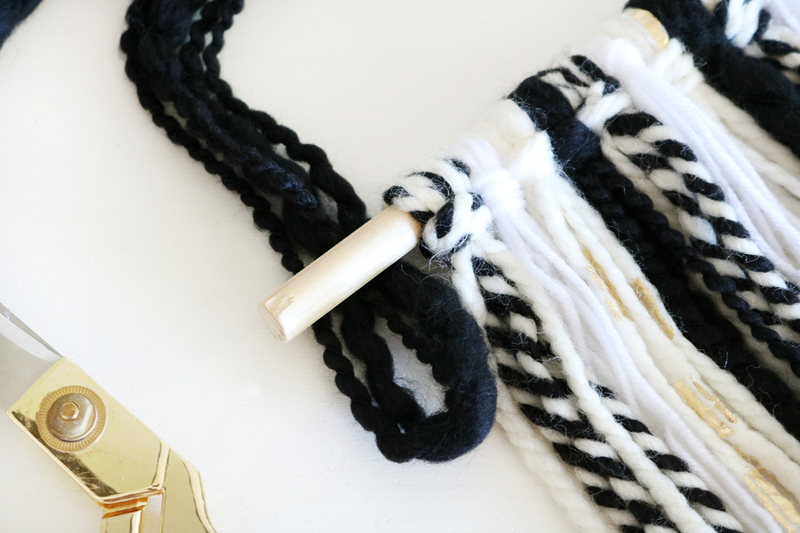 You will cut the yarn into pieces, how long you want your wall hanging to be is up to you. I cut each piece of yarn long enough to fold in half and wrap around the dowel so it doubled up. Does that make sense? For the black chunkier yarn I used two strands each time I looped it. 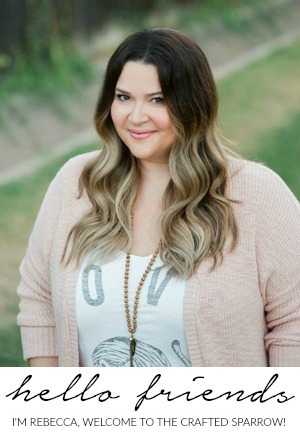 The black and white striped was three strands. The gold foil was also three, and the white yarn was five strands each time I looped it since it’s thinner. 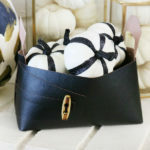 Simply fold the strands in half and loop around the wood dowel and pull the yarn through all in the same direction. 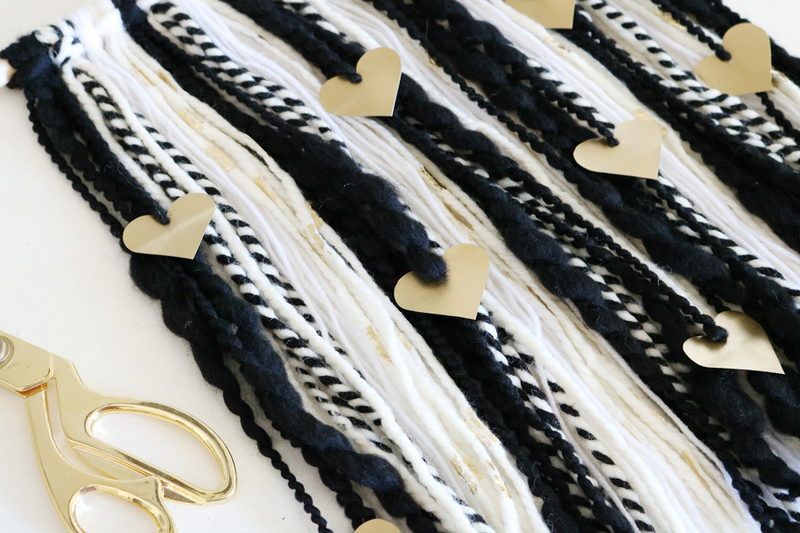 Once you’re done looping all the yarn onto the dowel it’s time to add the hearts. 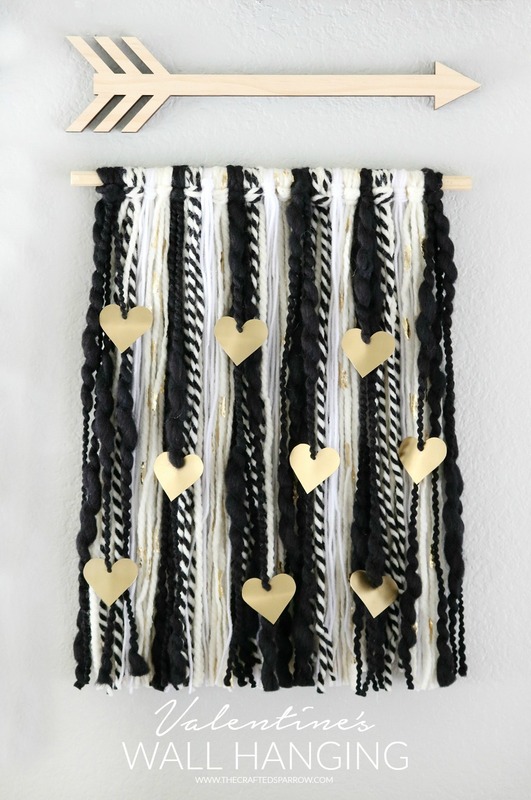 I just threaded them onto the yarn in a pattern, but how you add them to your hanging is up to you. You could do the same thing I’ve done, or you could hang them at the bottom of the wall hanging. 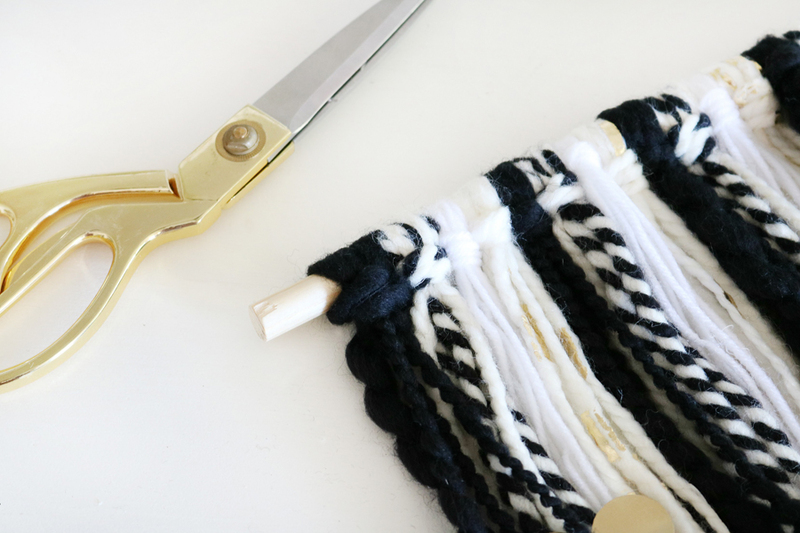 When you’re all done then using a pair of scissors you can trim all your yarn strands at the bottom to be even. That’s it! 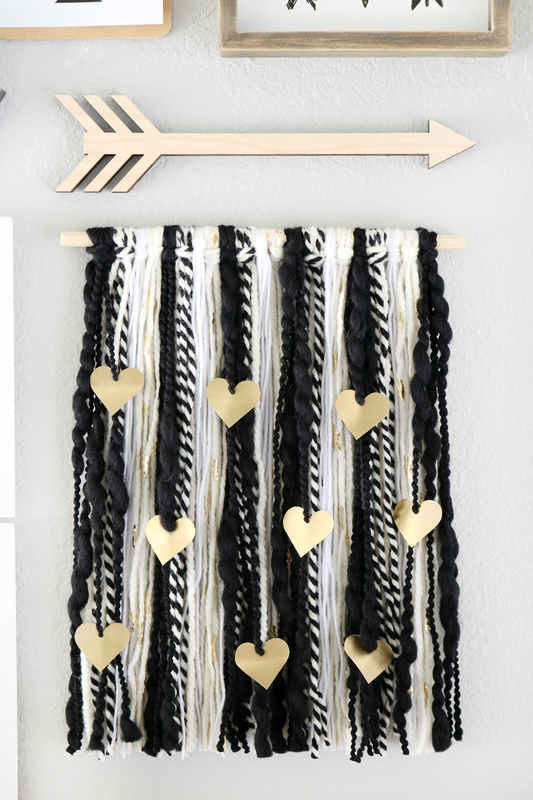 This Valentine’s Wall Hanging is super easy and would be perfect for any time of year, not just Valentine’s Day. 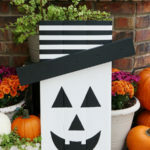 Also, it would be so cute on a birch branch if you have one lying around. 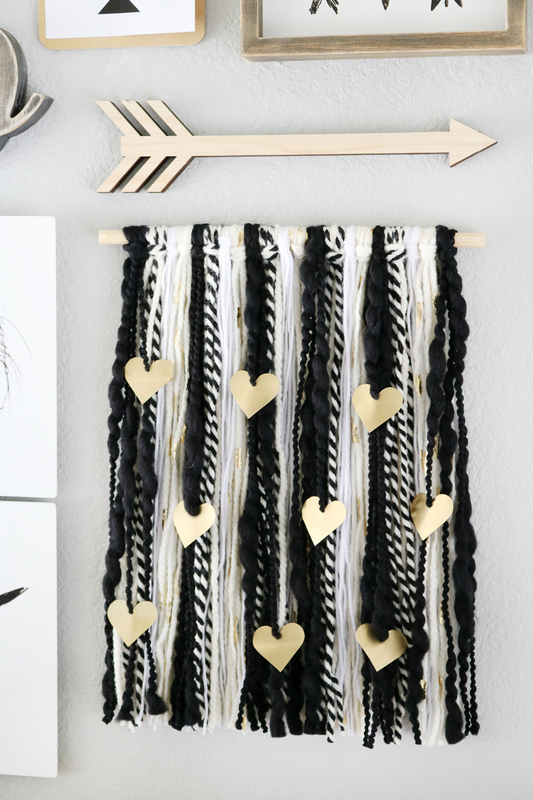 If you loved this Valentine’s Wall Hanging, I know you’ll love these ideas too! Thats so clever (and pretty) I’ve recycled plastic tubs like this before but never though to iron the yogurt pots to flatten them – genius. A whole new world of reuse recycle possibilities is now open to me!